I have bags upon bags upon bags of Hatch, New Mexico green chiles in my freezer. 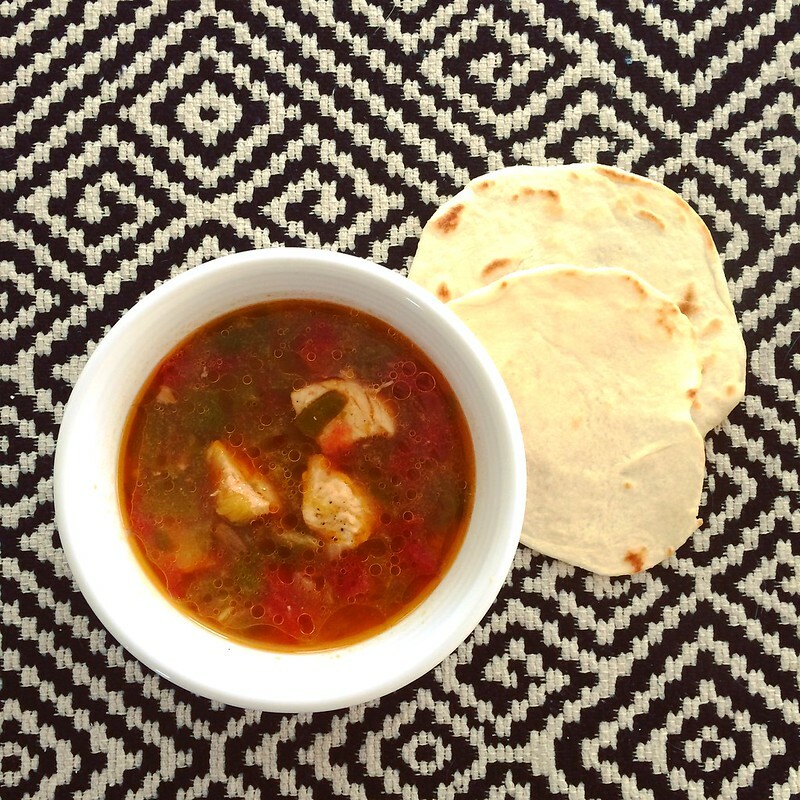 And so, this weekend, I decided to dig into my stash and cook up a delicious green chile chicken soup with homemade tortillas to dip. I created this dish with what I had on hand but it turned out to be one of the more delicious soups I’ve made in awhile. I sauteed some onion and garlic in olive oil, then added diced chicken breast and browned it but didn’t cook it through. While I was browning the chicken, I added salt and pepper to taste, as well as a teaspoon of ground cumin. Next, I added chicken stock, a can of petite diced tomatoes, and 12 hatch green chiles, diced. I used six extra hot chiles and six mild. It was the perfect amount–stinging lips throughout. You could substitute any veggies you have on hand. The key ingredient: green chiles. In abundance. Serve with homemade tortillas (mine came out wonky shaped because my dough was fussing with me and clearly, now, I need a tortilla press).